If there's one band that has run a confusing though prolific course, it's AMORPHIS. You're either down with the stylistic changes they've made since "The Karelian Isthmus" and "Tales from the Thousand Lakes" (by many fans' counts, the band's best works) or you're not. AMORPHIS has proven to be a fearless group; one that has emerged from a curious drifting from death metal to pure rock on "Tuonela" and "Far From the Sun" to progressive metal from 2006's "Eclipse" on forward. On the band's twelfth album, "Under the Red Cloud", a little something from each stage of their career manifests. This creates a peculiar, largely rock-driven affair with numerous extracurricular shakes to give it flair. Fans of Tomi Joutsen's growls will be happy with this album — they're more prominent throughout — even while the band plays games utilizing all the styles they've dabbled with over time. The ENSLAVED-ish "The Four Wise Ones" is one of the heaviest songs AMORPHIS has recorded in recent years, even considering the random folk flutes and psychedelic washes. These compliment Tomi Joutsen's cleans, however, his hard vocals dominate the mostly aggressive track. 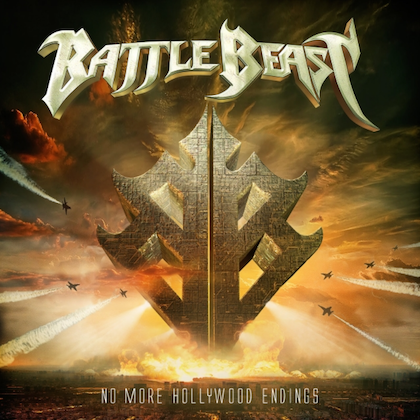 "Bad Blood" is choked full of rock-dominated riffs by Esa Holpainen and Tomi Koivusaari on the verses, which set-up a less forceful, harmonious chorus where Joutsen's woofs surrender to aloof cleans. Those who dug 1996's "Elegy" where AMORPHIS took its first steps towards becoming a progressive metal act will be all over "The Skull". Rock riffs, organs, synths and folk swings are but a few components of "The Skull", which changes moods on a drop, yet in satisfying way. The piano-guided breakdown is a classy touch. As if AMORPHIS hasn't already done enough tinkering, stand by for the sitar and pipe-splashed "Death of a King", where the band turns a Renaissance festival into a plucky rock pageant. The conventional "Sacrifice" keeps the rock plugs humming as one of the more muscular songs on "Under the Red Cloud", but be on the lookout for brief Celtic and wah segues along the way. "Dark Path" is somewhat heavier (mainly due to Tomi Joutsen's ralphing and Jan Rechberger's double hammer on the verses), but the ultimate destination is a tuneful goth metal romp with choruses even the HIM crew would be pleased to own. 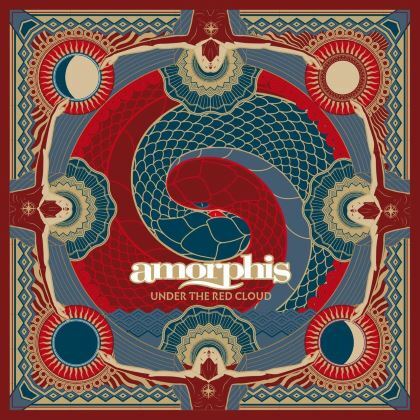 AMORPHIS throws another of a zillion curves on the meaty though folk-swung "Tree of Ages" where the riffs are as loud as Tomi Joutsen, and organic pipes and strings peep into the song's thunder. All of AMORPHIS's tricks are crammed into the closing number "White Night", which hangs measures of banging straight rock and female vocals with heaps of freewheeling fusion progressions. All told, AMORPHIS is playing at a zenith of their talents, yet having toured last year for the 20th anniversary of "Tales from the Thousand Lakes", it still comes down, after all these years, to either being down with this group's stylistic changes or not.